I love this series of books by Christopher Fowler. The main characters are Bryant and May and they are the lead detectives of the Peculiar Crimes Unit in London. These two men are past the age of retirement but they stay on because their work is so interesting and intriguing. I’ve read all of the prior books in the series and this one is just as great as the others. I love this writer. He’s brilliant. He know a lot of wonderful facts about one of my favorite cities in the world, London. His mysteries are sophisticated and complicated. I like that. As someone that can see the endings coming in a lot of books I read, Fowler’s books make me think and I think that’s fantastic. The characters are all well developed and fully fleshed out. Not only the main characters, but the minor ones as well. 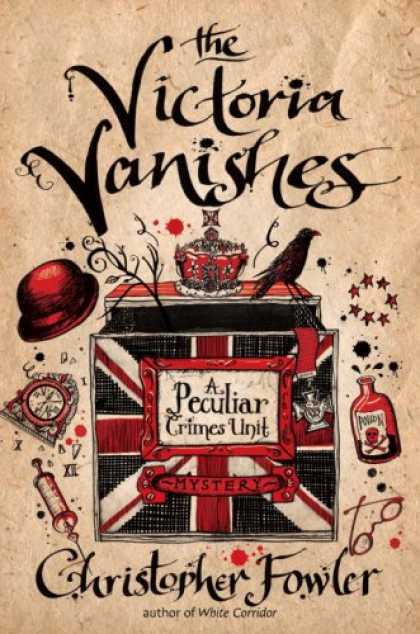 The Victoria Vanishes is a delightful read. Its premise is unique and the fact that an English pub disappears is a fun start to the tale. I recommend this whole series. These old detectives have a lot to offer and they’re both just wonderful characters.